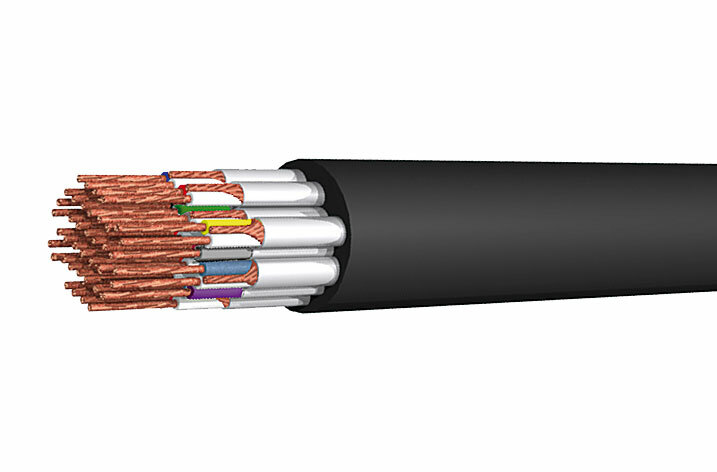 Multipair cable with AL foil shield. The cores are made of 7 x 0,2 = 0,2 qmm copper. Flexible PE isolation, and a tracer filament under the AL foil shield. The black PVC outside sheet is also very solid.